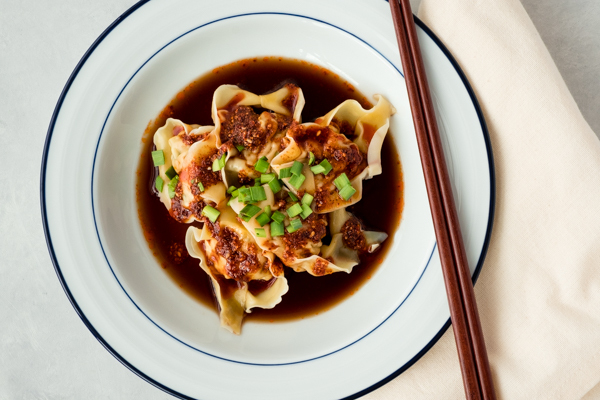 For each cookbook, I will write one post highlighting “lessons learned” during the food photo shoots. I’m still working out how I would like to document my photography journey, SO if you have any questions or suggestions on what you’d like me to cover, leave me a comment on this post! I am much, much, MUCH more comfortable framing and shooting food with my iPhone (currently a 6+) than a not-a-phone camera (since I’ve been doing it for yeeeeears). Check out my first food Instagram post from 2010! Yes, I scrolled back through 2382ish photos to find it, so you gotta look at it. The very first food Instagram on @princesshungry y’all. That blurrrrr. That yellow light. Yikes. My first Instagram post was of this, if that tells you anything about what a nerd I am. Bonus points if you know how to use it. 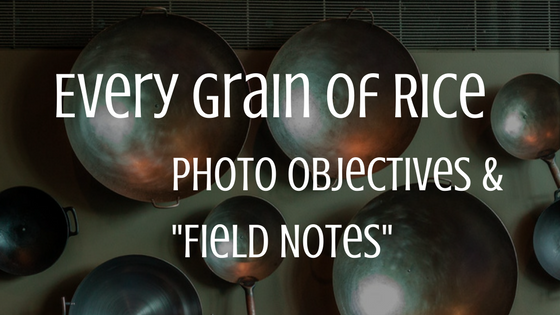 To get out of my own way, I kept my photography objectives for the Every Grain of Rice cookbook project pretty simple. (There is something to be said about keeping it simple, stuuu…. Silly.) Here they are! I got really frustrated at my tripod trying to shoot overhead (I may or may not have put it in time-out in another room). So, for Every Grain of Rice, I shot free hand for the entire shoot. I know, I know. It’s best practice to shoot with a tripod, but right now I’m aiming for “good enough” to get me going, okay? I think one of the reasons that I had so much difficulty with the tripod was that I only had 2 prime lenses, and a zoom lens would make overhead shooting exponentially easier to finagle. I also don’t have the setup to shoot tethered yet. Because $$$$. But I’ll get there before the last cookbook. Pinky swear. I completely underestimated how much time it would take to go from an overhead styled dish to a 45-degree angle shot. Actually, I pretty much underestimated how LONG every step of the styling and shooting process was going to take in general. (Mad props to recipe bloggers who post new content all the time!) I also didn’t thoroughly consider the background for the 45-degree angle shots very well either. Oops, guess I’ll give this a more thorough try for Salt, Fat, Acid, Heat! Reading the whole cookbook takes me about 3 weeks. I read cover-to-cover and annotated throughout. I’m starting to feel like the project is my personal culinary school for home cooks, but with a lot less heat (literally and figuratively). I started with handwritten notes, but have moved to Evernote. I’ll talk about more about Evernote in my next post about new systems I’ve put in place to make this whole process more efficient. As I near the end of a cookbook, I start listing all the recipes I think would fit the different categories I discussed in my manifesto. Once I finish the cookbook, I narrow down the potential recipes list to 4-8 recipes and then create a master grocery list, brainstorm a shot list (and also a prop list), create a timeline for grocery/prop shopping, prep and cooking days, and finally go do all the things! It takes me about 24-27 days to go through all the reading, prep for the shoot, actually cook and shoot, then post-shoot photo editing madness. Usually each day I spend about 4 hours working on PH tasks, except for cooking days, which end up being 8+ hour days. While long, they are delicious (as Mr. Hungry can attest). Import For Every Grain of Rice, I shot about 500 photos, most of which were not so great. Editing I didn’t use any presets for my EGOR photos because I haven’t figured out which ones I like or even how to use presets yet, but will be trying it out for my next cookbook project. This required a plug-in to get a handle on the sheer volume of images I had culled for the soft launch of PrincessHungry. I started adding text to the alt-text field, but realize now I need to do more reading into SEO and how to properly fill in the different fields for each image. For now, I made sure to name my images better (instead of IMG0489.jpg, I give them more descriptive file names), include a caption/copyright, and filled in the alt text field. This was like arts and crafts week in our home. And by home I mean condo with no balcony. I basically plastic sheeted off half our living room to paint the backgrounds because paint got EVERYWHERE. They look pretty cool though, eh? I found a blog post that had step-by-step directions on painting your own photo backgrounds so I decided to give it a shot. This gave me a nice relaxing break from the Lightroom YouTube videos and yelling at my tripod for being an uncooperative pain. I also will be adjusting to shooting with the end of Daylight Savings in full effect. Fingers crossed it doesn’t mean I have to start cooking at 7 AM! 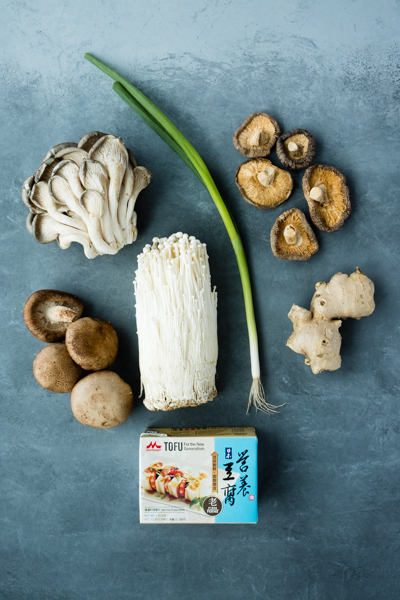 What are some photography techniques or food styling tricks you’d like to see me try out? 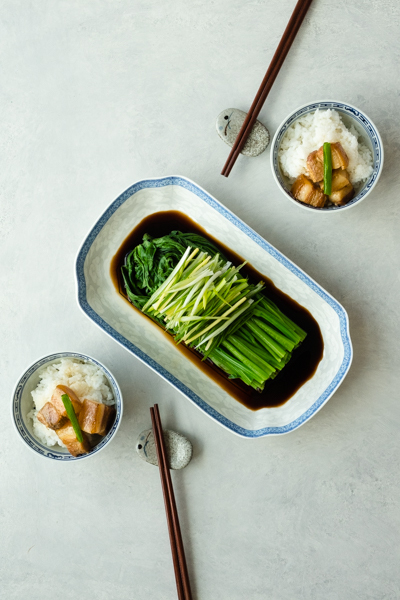 What advice do can you give to a newbie food photography/stylist?